CRAWFORDSVILLE, Ind. 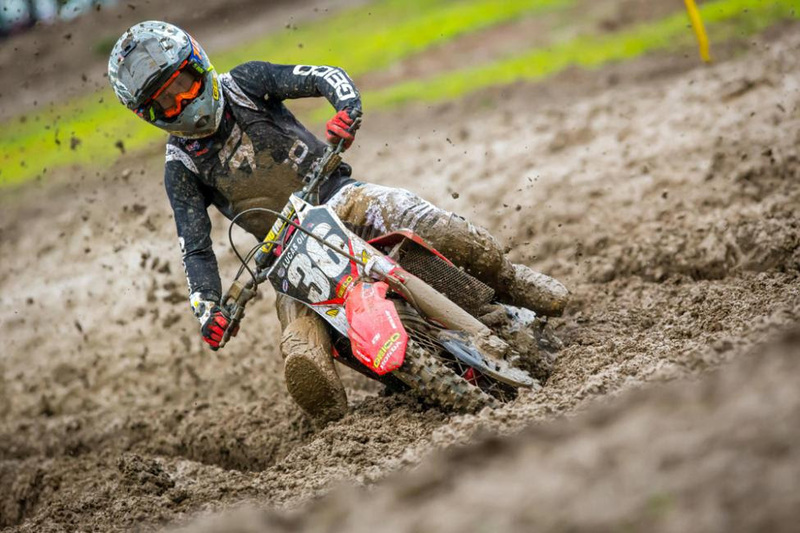 (August 25, 2018) - The Lucas Oil Pro Motocross Championship, sanctioned by AMA Pro Racing, came to a dramatic conclusion on Saturday as heavy rain throughout the morning resulted in the most challenging track conditions of the entire summer at Ironman Raceway. The 5th running of the Ironman National was headlined by a showdown for the 450 Class title between Monster Energy Kawasaki''s Eli Tomac, the defending National Champion, and Team Red Bull KTM Factory Racing''s Marvin Musquin. In the end, after a pair of grueling motos in the mud, Tomac emerged triumphant to hoist the Edison Dye Cup as the 450 Class Champion for back-to-back seasons. The battle for victory in the 450 Class saw Monster Energy/Yamaha Factory Racing''s Justin Barcia earn his first overall win of the season, while Monster Energy/Yamalube/Star/Yamaha''s Aaron Plessinger capped off his 250 Class title with another dominant victory. The opening 450 Class moto saw TPJ Racing''s Dylan Merriam nab his second Motosport.com Holeshot, narrowly edging out Autotrader/Yoshimura/Suzuki Factory Racing''s Chad Reed, who made his first Pro Motocross start since the 2015 season. 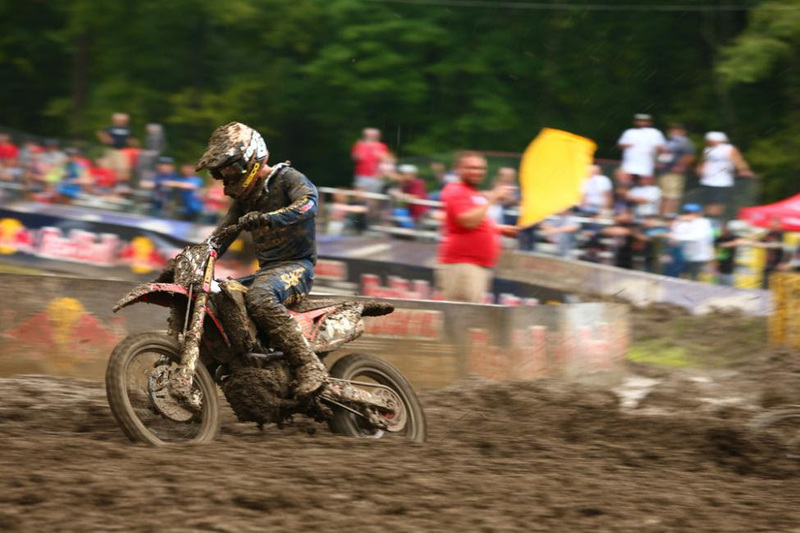 Barcia started third and was able to battle through the mud to grab the lead just before the completion of the opening lap. Tomac got a solid start in fifth, while Musquin slotted into eighth. As Barcia looked to put some distance between he and the field, Rockstar Energy Husqvarna Factory Racing''s Phil Nicoletti was able to battle his way forward into second. He then took advantage of a mistake by Barcia to make a pass for the lead on Lap 2. As this unfolded, Tomac made his way around Reed for third and immediately put on a charge to catch Barcia, who took off his goggles. Tomac''s increased pace forced Barcia to do the same, which brought both riders back to Nicoletti''s rear fender. Barcia''s determined charge carried him back into the lead and Tomac followed into second, quickly dropping Nicoletti from first to third. In his pursuit of Barcia, Tomac crashed on Lap 6. He took his time getting back on the bike and lost the spot to Nicoletti, but remounted in third. That gave Barcia an insurmountable lead of more than 20 seconds. It didn''t take long for Tomac to rebound from his crash to re-pass Nicoletti for second on Lap 7, and then Team Honda HRC''s Ken Roczen made the pass for third one lap later. 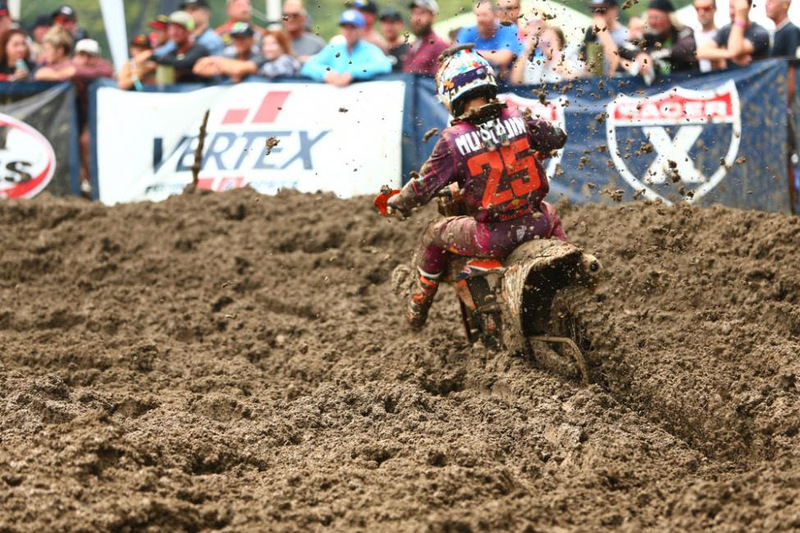 Nicoletti continued to lose considerable ground and with two laps to go he helped keep the battle for the championship going by giving up fourth to Musquin. Barcia''s goggle-less first moto win vaulted him to his first overall victory since 2015. Reed encountered misfortune on the opening lap and dropped deep in the top 10, which allowed Monster Energy/Yamaha Factory Racing''s Cooper Webb to take over third. As Musquin continued his fight to break into podium position, Tomac made quick work to climb into the top 10 by Lap 3. Barcia and Roczen''s torrid pace allowed them to open a double-digit gap on Webb, with the lead duo remaining just over a second apart halfway through the moto. Behind them the battle for third intensified between Webb and Musquin. After relentless pressure for multiple laps Musquin was able to find his way around the Yamaha rider on Lap 8 with an aggressive pass. However, he gave the spot back just a short time later after he made contact with a downed lapped rider. Musquin remounted a challenge, caught Webb again, and made another aggressive pass on Lap 9. "It''s crazy to think where I started the year [without a ride]. It was difficult times and I had to revamp my whole career, basically," said Barcia. "I was given an opportunity [at Yamaha] and my never give up attitude paid off. To end it here with a 1-1 is awesome and we''ve come a long way. I''m just so happy with how the season ended up." 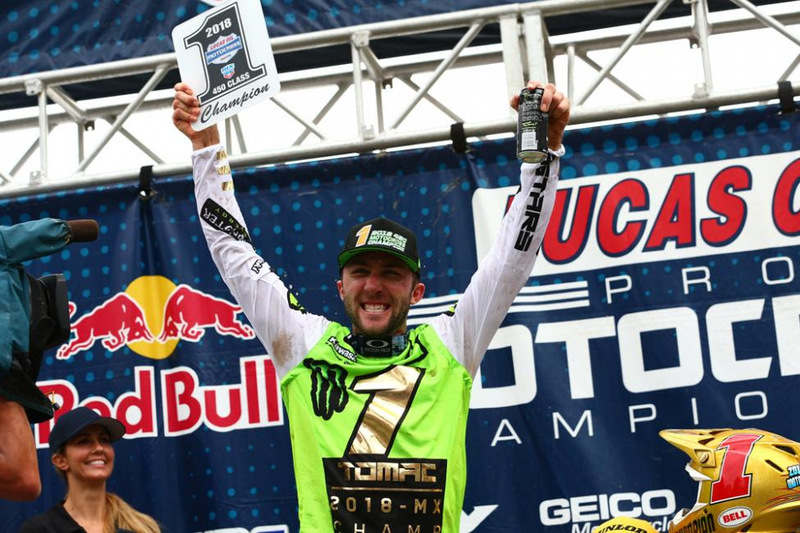 Tomac''s fourth-place finish (2-9) clinched the championship by 16 points, making him the first rider since Ricky Carmichael in 2005-2006 to successfully defend the title. 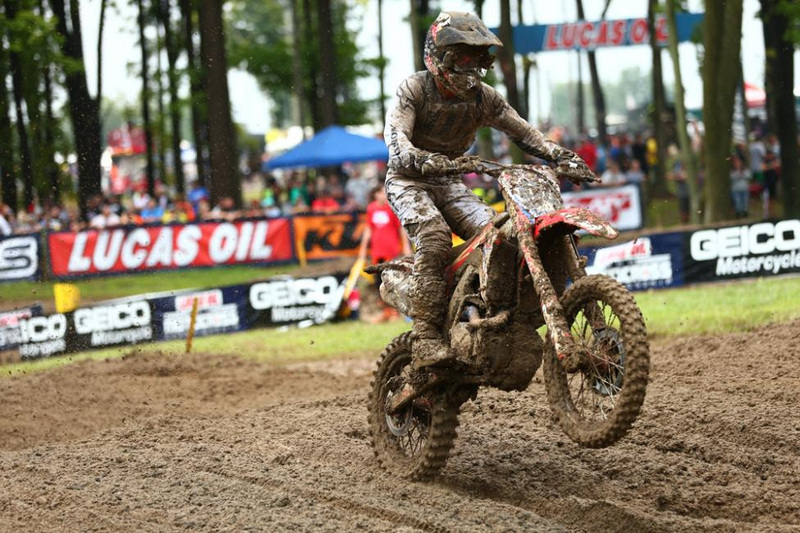 Roczen edged out Barcia for third in the final standings by just a single point. "We missed the [championship] clinch in the first moto by one point again [like last year], so it kind of gets your head spinning," said Tomac. "I knew we could do it, and once we got through the first turn I felt like I was at least in control of my own race. This season put us to the test and we were really challenged, so even though we won twice as many races it was still tough. It feels great to get it done." The first 250 Class moto of the afternoon saw Monster Energy/Yamalube/Star/Yamaha''s Justin Cooper easily grab the Motosport.com Holeshot, while GEICO Honda''s Chase Sexton followed in second. 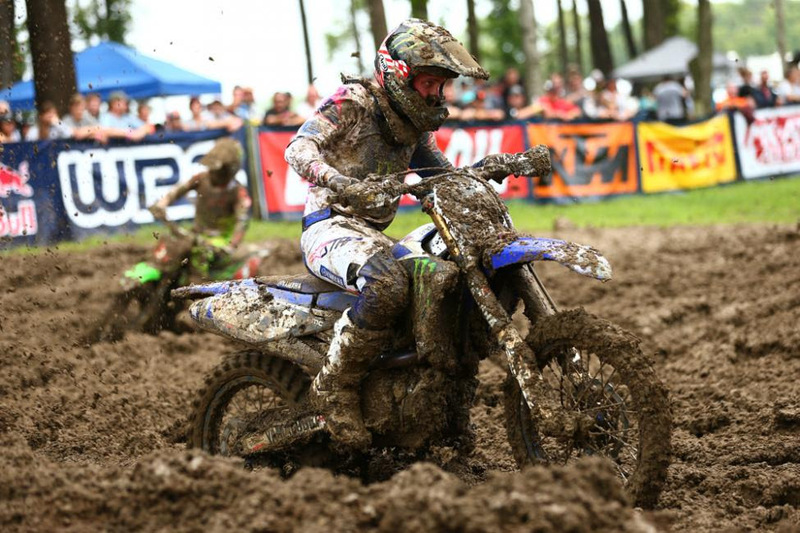 Given the conditions, it became a crucial advantage for the lead duo as they quickly separated themselves from the field on the opening lap as Plessinger slotted into third. A mistake by Plessinger allowed Sexton to apply pressure, but the champ withstood the brief challenge and pulled out to a lead of more than seven seconds, which he continued to build on. Sexton then dropped back to Cooper and his teammate Dylan Ferrandis, who were in a battle for third. Ferrandis was able to move into podium position and gave chase to Sexton for second. In his pursuit of the spot, with two laps to go, Ferrandis'' bike lost power, moving Cooper back into third. Sexton went down one lap later, but was able to get back on track just ahead of the Yamaha rider. Out front, Plessinger ditched his goggles after taking the white flag and endured through a tip over on the final lap, but thanks to a lead of more than 20 seconds he was able to soldier home to a moto win, crossing the line just 4.9 seconds ahead of Sexton at the end. Cooper followed in third, with GEICO Honda''s RJ Hampshire fourth and Troy Lee Designs/Red Bull/KTM''s Shane McElrath in fifth. Just eight riders finished on the lead lap. The Yamaha rider opened up a lead of over three seconds as the lead trio settled in, and as the moto neared the halfway point Monster Energy/Yamalube/Star/Yamaha''s Colt Nichols closed in on Sexton from fourth. On Lap 5 Hampshire went down and dropped out of the top three, moving Sexton into second and Nichols into third. Hampshire continued in fourth with Ferrandis right behind him. "The whole day went really smooth. 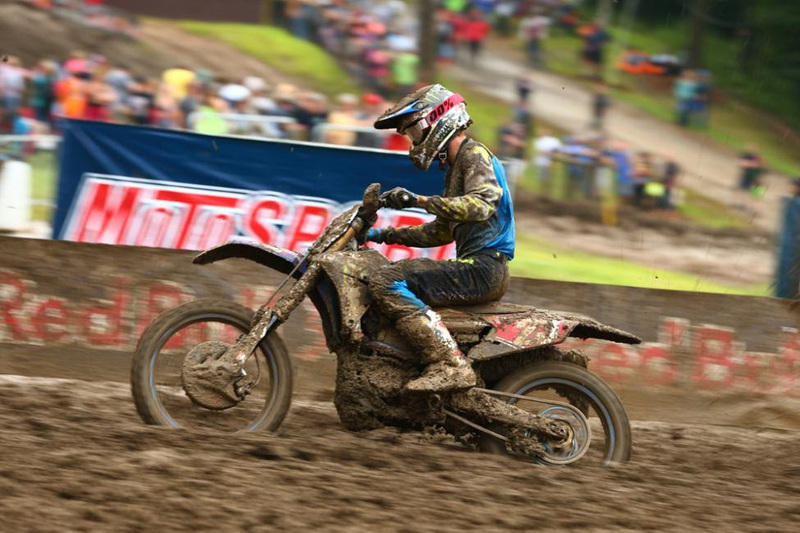 The [GEICO Honda] guys were riding great," said Plessinger. "I just got two great starts and made my way into the lead both motos, and then I just tried to be consistent and ride my own race. Everything worked out according to plan and now we''re up here on top of the podium. I''m pretty pumped at how we ended the season."